Recently switched over to HTTPS and noticed you are not getting the pretty green lock in your browser like shown below? OK OK, we get it, how do we fix it? 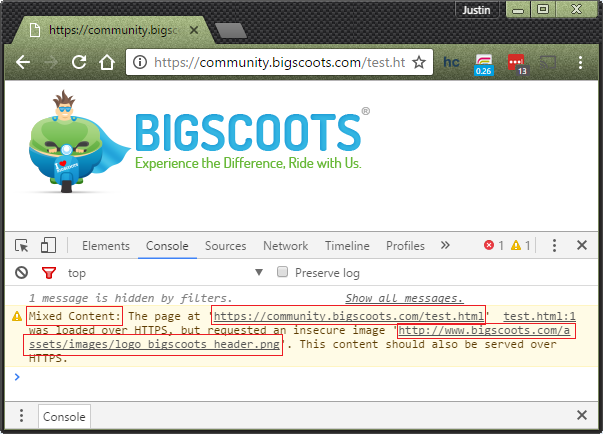 Mixed Content: The page at 'https://community.bigscoots.com/test.html' was loaded over HTTPS, but requested an insecure image 'http://www.bigscoots.com/assets/images/logo_bigscoots_header.png'. This content should also be served over HTTPS. https://community.bigscoots.com/test.html - The URL in which you are accessing which is using HTTPS. 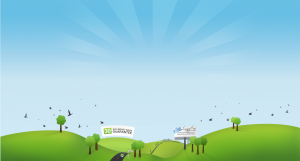 http://www.bigscoots.com/assets/images/logo_bigscoots_header.png - The piece of content that is loading on the page that is using HTTP. Before Proceeding Make Sure To BACKUP Your Database! If the above doesn't resolve ALL found mixed content, then its possible the URL's reside in an actual file, like .php, .html, .css, .js, etc, etc.. Using SSH with the grep command will allow you to recursively search through every single file for the exact URL you are looking for. Command used to search through files containing the link. We can use this command to search through every single file recursively within the current folder that we run it in. You can see it first shows us the file it finds the URL in, and then shows us what exactly it found.